Yet another bogus claim by anthologist Peter Haining, as investigated by Douglas A. Anderson on Wormwoodiana. Anderson says, “I’ve written elsewhere of a few other instances of his outrageous frauds (for one, where he lifted one author’s story from an early Weird Tales and claimed it was by Dorothy Macardle and from an Irish magazine) . . . Now I’ve happened upon yet another example of Haining’s premeditated deceit. 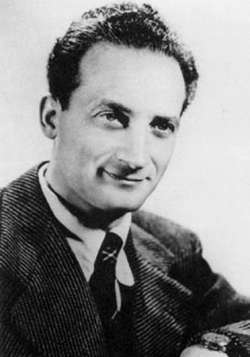 I’ve recently been looking closely into the writings of Guy Endore (1900-1970), author of The Werewolf of Paris (1933). Great good news! 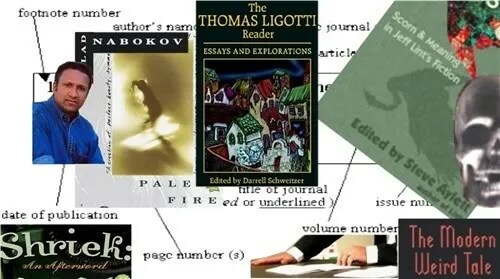 Ann and Jeff VanderMeer have launched a very promising online journal dedicated to the examination and enjoyment of outré literature, called Weird Fiction Review. Not only does the first issue contain an interview with Neil Gaiman, I see on GalleyCat that “the journal will maintain a ‘symbiotic relationship’ with S.T. Joshi’s print journal, The Weird Fiction Review.” This is a very good thing, Joshi being one of the world’s foremost scholars of the uncanny genres. I like the way Jeff and Ann refer to their project as “a non-denominational approach that appre­ciates Love­craft but also Kafka, Angela Carter and Clark Ash­ton Smith, Shirley Jack­son and Fritz Leiber — along with the next gen­er­a­tion of weird writ­ers and inter­na­tional weird.” That quote is also from GalleyCat, and here’s a link to the entire article. But Ann and Jeff VanderMeer didn’t stop there. They have a new book out. You know those old, weird/horror/sci-fi anthologies I like to talk about in my Bill’s Bookshelf series? Most of those books are from the 1960s or 70s, but here’s a brand new collection that carries on the tradition and brings it into the 21st Century. It’s called The Weird: A Compendium of Dark and Strange Stories. This ambitious labor of love boasts over one hundred years of weird fiction collected in a single volume, representing more than 20 nationalities, with seven new translations. Check out the table of contents. 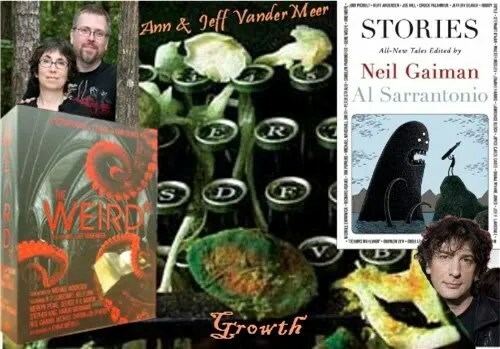 Apparently, when Weird Tales magazine decided to replace Ann VanderMeer as editor, the magazine’s loss was our gain. Ann & Jeff’s book-life is flourishing like the verdant foliage of Ambergris. 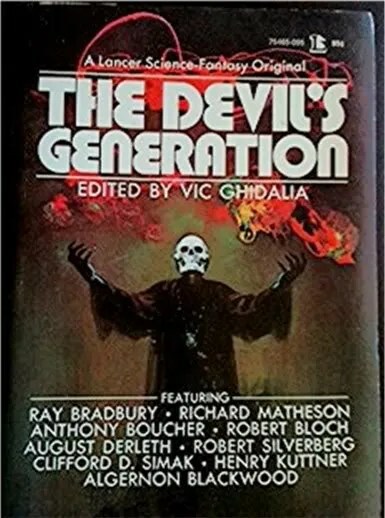 For the second installment of Bill’s Bookshelf, I’ve chosen another anthology, The Devil’s Generation (1973, Lancer Books, Inc.), edited by Vic Ghidalia. Each story involves kids, from an unborn baby to teenage punks and everything in between, but the book contains few, if any, actual stories about the devil. Satan was having a heyday in popular culture during the late 60s and early 70s, so the title was probably a way to cash in on that. Hollywood was going through a phase in which they thought Frankenstein and Dracula were no longer scary, but that audiences could still be freaked out by Satanic themes. When Rosemary’s Baby came out in 1968, most of us knew Roman Polanski directed it, but the movie studio play down the fact that William Castle produced it, due to Castle’s past association with cheap, gimmicky films like The Tingler (1959) and Thirteen Ghosts (1960). 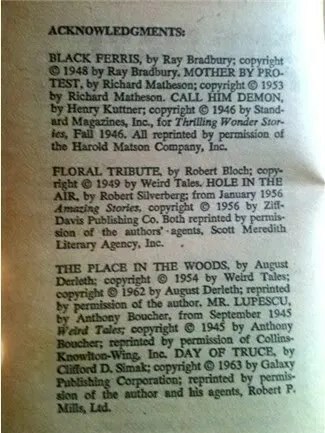 I had just seen The Exorcist when I bought The Devil’s Generation, and I assumed Lancer Books was also cashing in on that blockbuster. But maybe not. The copyright date of Devil’s Generation is 1973. The Exorcist was released in December 1973. Maybe there was inside information, maybe not. Too close to call. By far, the best story in this collection is Call Him Demon, by Henry Kuttner, followed by The Other Wing, by Algernon Blackwood. I’ll save my commentary on those two tales until the end. The book features a number of authors who had become celebrities by 1973, but their stories here seem like knock-offs. For example, in 1971, Robert Silverberg won the Nebula Award for his novel, A Time of Change. His story in The Devil’s Generation anthology, Hole In the Air, first appeared in the January 1956 issue of Amazing and is no more than a variation on To Serve Man by Damon Knight, which first appeared in the November 1956 issue of Galaxy Science Fiction and became a well-known Twilight Zone episode in 1962. The Richard Matheson also wrote a famous Twilight Zone episode, Nightmare At 20,000 Feet (the one about the Gremlin on the airplane wing with William Shatner). 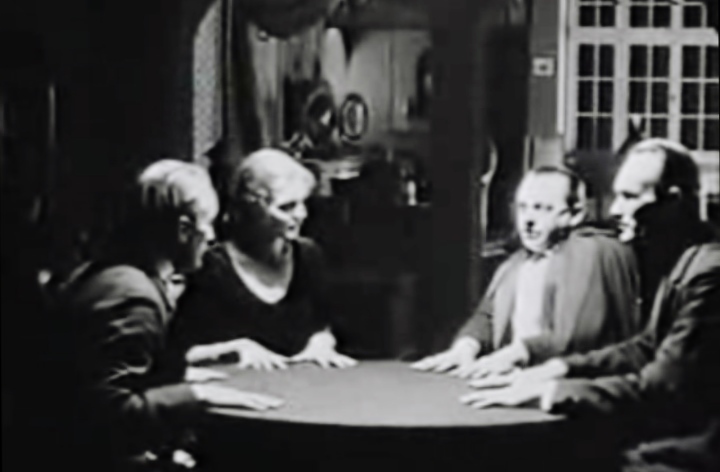 The Matheson selection in The Devil’s Generation is called Mother By Protest. It shares a few similarities with Rosemary’s Baby, but not as scary, and the pregnant woman discovers that she is carrying the baby of a space alien instead of Satan’s child. Robert Bloch’s tale, Floral Arrangement, is about a mother and son who live in a house overlooking a cemetery. It first appeared in Weird Tales, eleven years before his more famous story about a mother and son living among taxidermied birds in the Bates Motel. 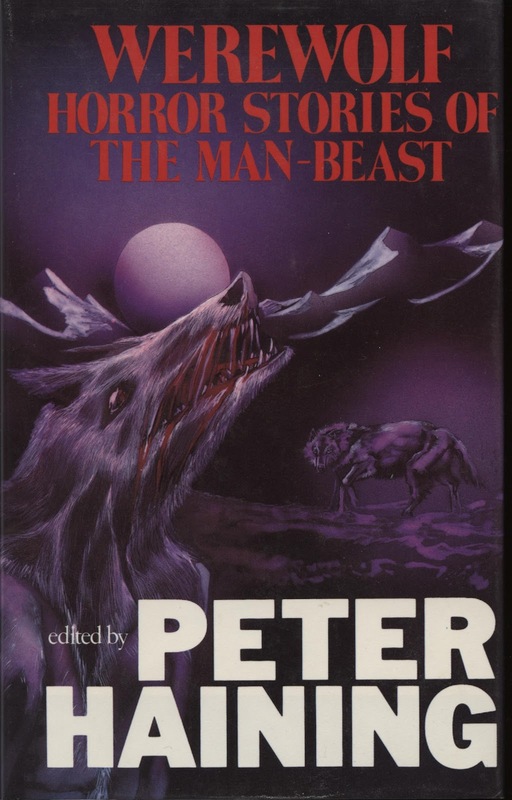 In The Place In the Woods, August Derleth attempts to do what M. R. James did much better in An Episode of Cathedral History; that is, use a mythological creature as the basis for a supernatural tale. Day of Truce, by Clifford D. Simak, begins promisingly and really held my attention with a build-up of suspense, but at the end, it fizzled out and didn’t go anywhere. It ended up as just one more meditation on man’s penchant for war. I saved the best for last. 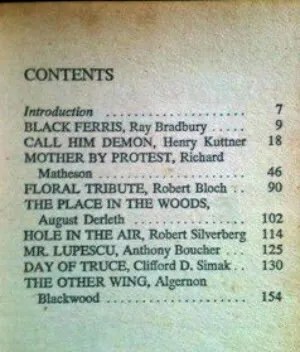 Henry Kuttner’s Call Him Demon struck a chord in me as the most original and enjoyable of all the stories, allowing for suspension of disbelief and total immersion into the secret world of kids. These kids are aware that one of the adults in the house is not really what he seems, and his presence is somehow connected to a horrible meat-eating monster in another dimension, which can only be accessed through the dark, dusky attic. Kuttner’s friend Richard Matheson dedicated his 1954 novel I Am Legend to Kuttner, with thanks for his help and encouragement. Ray Bradbury likewise dedicated Dark Carnival, his first book, to him, calling him one of his hardest-working and most patient teachers; Bradbury has said that Kuttner actually wrote the last 300 words of Bradbury’s first horror story, “The Candle” (Weird Tales, November 1942). Bradbury has referred to Kuttner as a neglected master and a “pomegranate writer: popping with seeds — full of ideas”. William S. Burroughs‘s novel The Ticket That Exploded contains direct quotes from Kuttner regarding the “Happy Cloak” parasitic pleasure monster from the Venusian seas. Finally, Algernon Blackwood’s The Other Wing is not scary, but it is such a nicely crafted, classic ghost story that I must give it a thumbs up. In his book, The Modern Weird Tale, S. T. Joshi describes “alternatives to supernaturalism” and cites Thomas Tryon’s 1973 novel Harvest Home, in which rural New England villagers practice pagan fertility rituals. In this grisly tale, as Joshi points out, when a skeletal apparition is revealed to be a disfigured man, it does not diminish the atmosphere of horror. This is the same dynamic that gave me goose bumps as a child when I read Washington Irving’s The Legend of Sleepy Hollow for the second or third time, even though I knew the morning light would find a shattered pumpkin on the riverbank near Ichabod Crane’s hat. On a more ambiguous note, Henry James’ classic The Turn of the Screw has generated endless speculation because it leaves the reader to decide if the ghosts were real or imagined, and for that matter, if the ghosts were delusional products of the power of suggestion, does that make them any less supernatural? Finally, one of the later chapters melts into stream-of-consciousness prose, albeit, more accessible than the dense work of James Joyce and William Burroughs. For people who are curious, but not used to, stream-of-consciousness, this chapter is a comfortable place to explore and still find your way out. It should also please the more serious fans of weird literature. One reason why I am drawn to the works of Vladimir Nabokov, Jeff VanderMeer, Steve Aylett, and James Morrow is that they write for people who not only like to read, but who also enjoy the mechanics and study of literature, especially as it relates to the humanities.